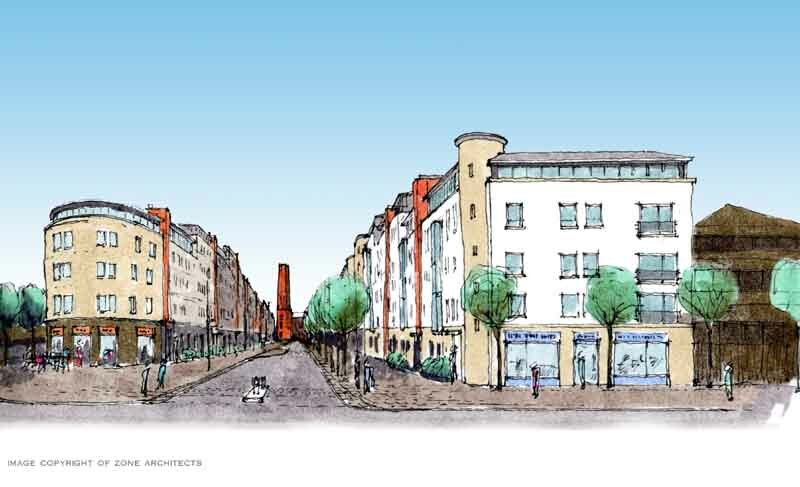 The latest plans for the former Edinburgh bus depot include 340 new properties. The £40m Shrub Place Edinburgh development of the brownfield site at Shrubhill (towards the top end of Leith Walk) would be financed through a council loan and run by Port of Leith Housing Association and Dunedin Canmore. The properties would be completed by December 2019. This long-running saga takes a new turn: plans have been submitted by architects EMA for the development of this major brownfield site off Leith Walk. Revised proposals will see 160 new homes, a quarter of which will be affordable, by Frasers Hamilton (Shrubhill) Ltd. 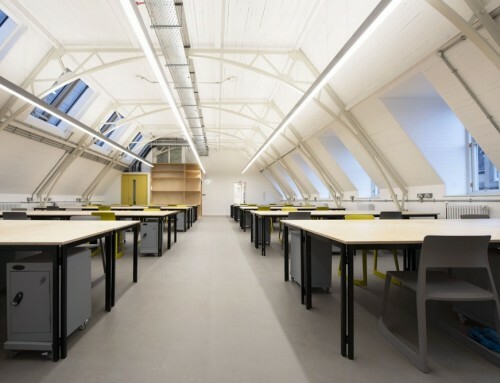 The site comprises a B-listed former tram depot and its historic sheds could (and should, Ed.) be retained for residential use, along with a pair of chimneys. Interestingly the proposals designed by EMA include the introduction of new colony style/terraced family housing as well as a new pedestrian through route. 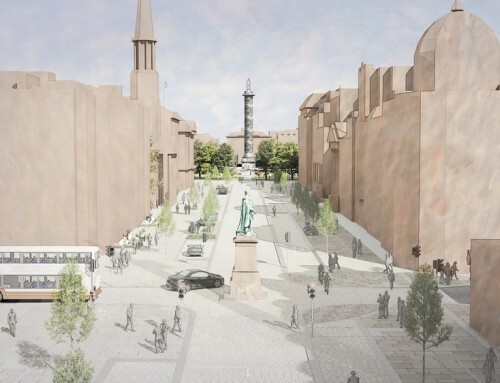 At Leith Walk, a five-storey ‘gateway’ building will stand alongside a tree-lined route, leading towards an entrance square; behind this, there will be three-storey brick-faced buildings to tie in with the existing tram sheds. The new plans follow proposals from 2009, when Frasers Suites wanted to construct more than 400 apartments on the site. 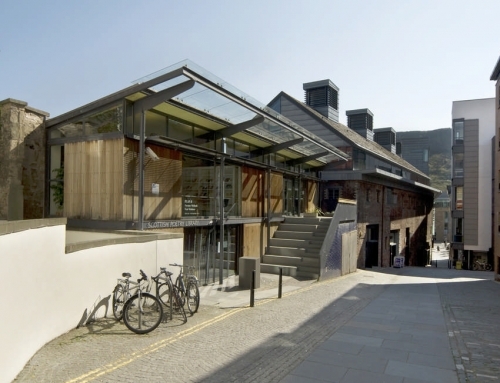 Previously there was a competition for the site – which included a proposal by RMJM (project architect being myself, Adrian Welch) that included a five storey gatewya building with a square behind and colony type houses at the north of the site and retention of the historic buildings for public usage. The competition had followed the outcry over Wimpey’s initial proposals which were deemed to be heavily over-developed. BL Developments win bid, out of ten offers for former LRT Bus Depot off Leith Walk. 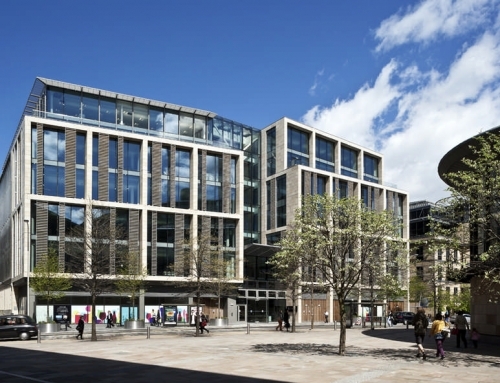 Lead architects with responsibility for master planning the site are Broadway Malyan out of their Edinburgh Office. 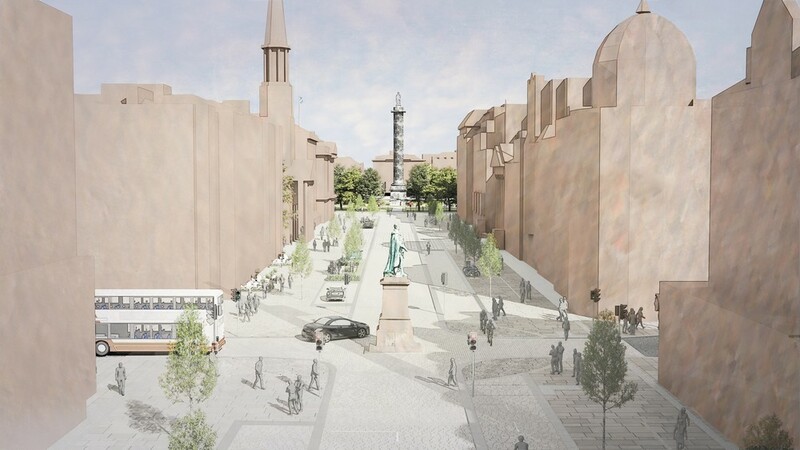 Morgan McDonnell, Edinburgh, will have a significant role in the design of buildings on parts of the site. Shrub Place was placed on the market for a second time in Sep 2004. Bids were submitted by developers/architects on 30 Nov 2004 to LRT. 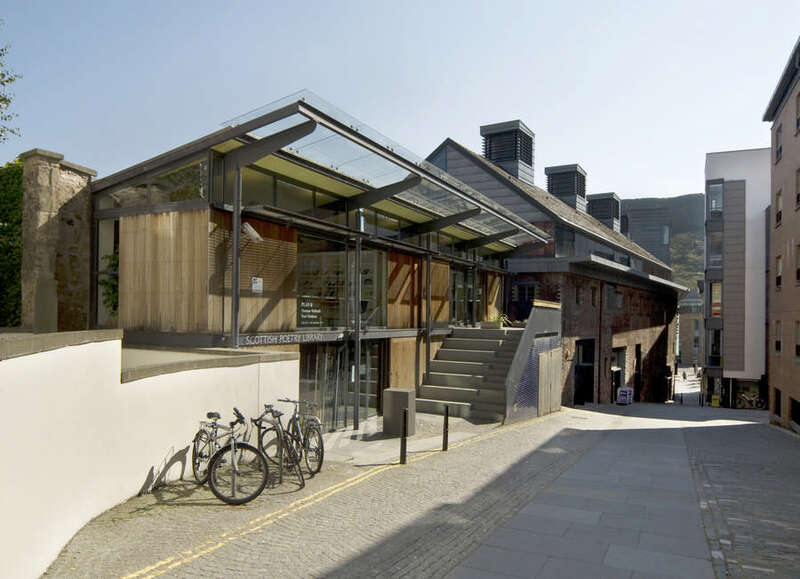 This was a key architecture & planning issue / event for Edinburgh with well known architects presenting evidence and a very active ‘Save Shrub Place’ campaign website. Wimpey, whose option to buy Shrub Place expired at the end of August, have decided to cut their losses and walk away from the deal. Having spent five years on the project, Wimpey did not come up with a design for the £30m site that satisfied local campaigners and failed – despite several attempts – to win approval from either the Planning Committee or the subsequent Public Inquiry. The Inquiry decision is widely regarded as a landmark case that will help improve design standards throughout the industry. Following Wimpey Homes’ decision to abandon the site, the site owners, Lothian Buses, have appointed a new agent to market the property. 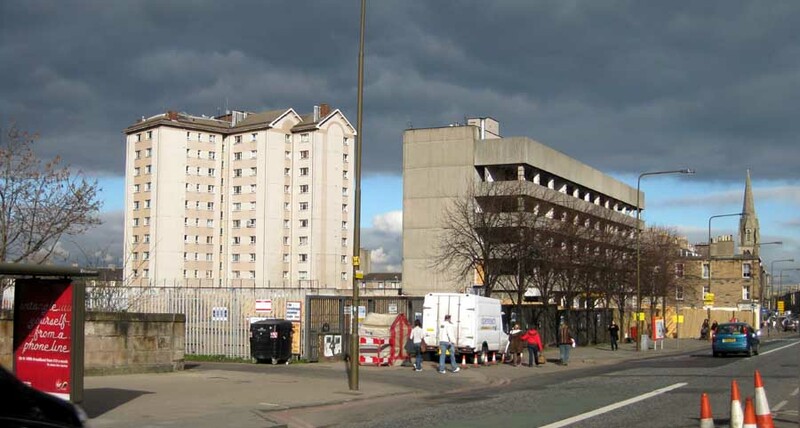 Local campaigners were pleased that Wimpey Homes is finally out of the picture and are looking forward to a fresh, imaginative and appropriate design for this key site on Leith Walk. Because of the complexity of the site – which includes a listed building that formerly housed the transmission equipment for Edinburgh’s cable tramway – campaigners are clear that any new proposals must address, and perhaps incorporate two neighbouring sites: the Council-owned Social Work Headquarters at Shrub Hill (due to be vacated in the near future) and the Masonic Social Club. At the Public Inquiry in March 2004, the campaigners, represented by Mr Tobermann, chairman of the Pilrig Residents Association, presented a convincing case, showing that Wimpey Homes’ proposals for Shrub Place had failed on design grounds, meeting neither local aspirations for a quality development on a city centre site nor the criteria of good design set out in the Scottish Executive’s key policy document Designing Places. Wimpey acquired an option to buy the site in 1999. After a sustained campaign by local people, Wimpey’s first design was about to be turned down by Council officials, but following behind-the-scenes pressures, was to many people’s surprise recommended for approval.. Two planning committee rejections and more inadequate designs later, Wimpey Homes appealed to Scottish Ministers. Their appeals were turned down at the end of July 2004, following a 14-day Public Inquiry in March. earlier Edinburgh Council planning decisions. In their findings, the Inquiry Reporters largely accepted the arguments put forward by local campaigners during the two-week Shrub Place hearings in March. The Shrub Place campaigners, represented at the hearing by Mr Tobermann, chairman of the Pilrig Residents Association, had presented a convincing case, showing that Wimpey’s proposals for Shrub Place had failed on design grounds. 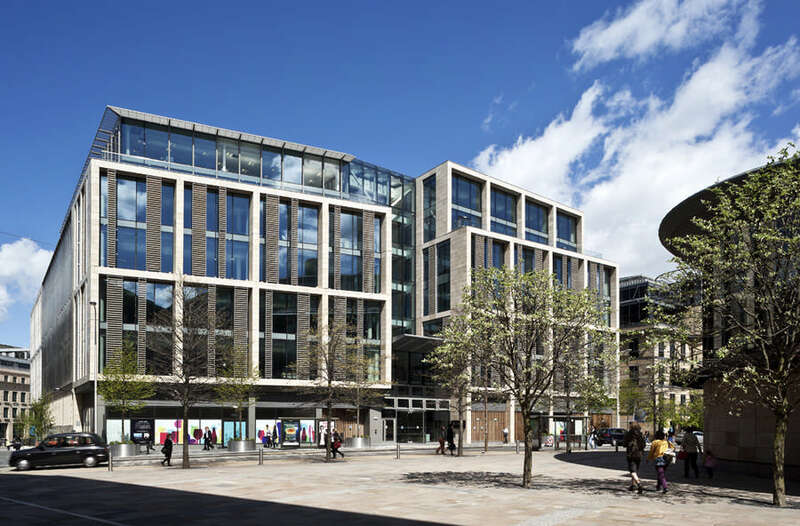 Deploying five witnesses, they demonstrated that Wimpey’s proposals did not meet neither local aspirations for a quality development on a city centre site nor the criteria of good design set out in the Scottish Executive’s key policy document Designing Places. 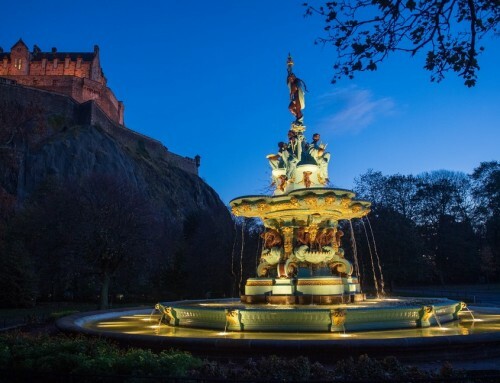 The campaigners are pleased that the Reporters’ decision has set a precedent for similar development proposals across Scotland and the UK and will force developers to raise their game.